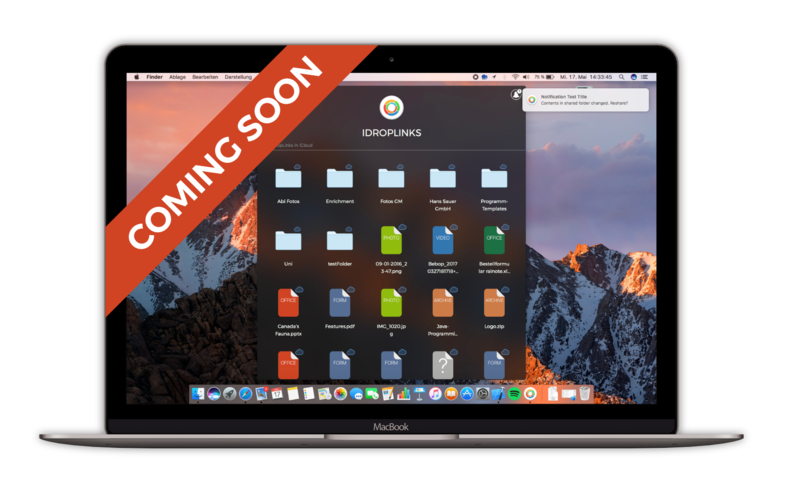 iDropLinks for iOS is the world's first app that allows File Sharing from iCloud Drive - developed in Germany. 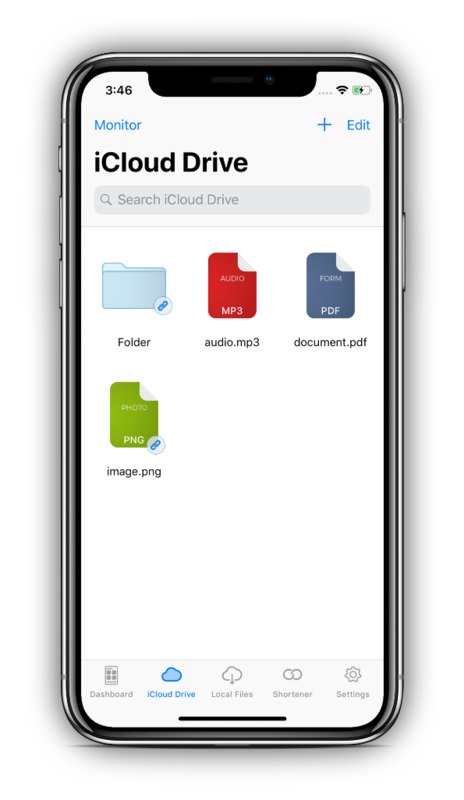 You can easily share large or small files from iCloud Drive as public download link with as many people as you want. Generated links are valid up to 30 days and you even have the choice to get notified by push when the link expires. Every generated link gets encrypted (by SSL) and registered to your iDropLinks account. iCloud Drive needs to be enabled in your settings-app. iDropLinks is only available for iOS. Sharing or uploading large files may cause stability problems. In iCloud Drive stored files are hosted on Apple Servers. Choose the file you want to share..
Share the link via Messages, Mail and many more. Tap & open the link to download the file instantly. 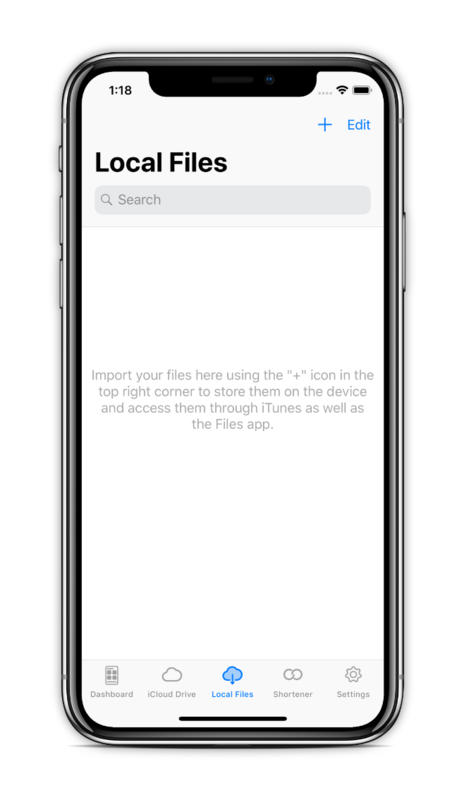 Store files directly with iTunes or the Files app to your iPhone, iPad or iPod Touch and use iDropLinks as a portable storage device. 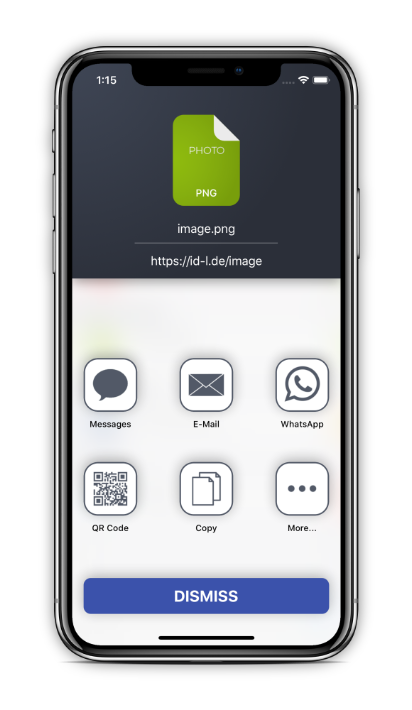 You can share files instantly from offline documents, zip them and even get a sneak preview by the integrated mediaplayer. iCloud Drive needs to be enabled in your settings-app. iDropLinks is only available for iOS. Sharing or uploading large files may cause stability problems. This link-shortener has been developed for better user requirements with iDropLinks. 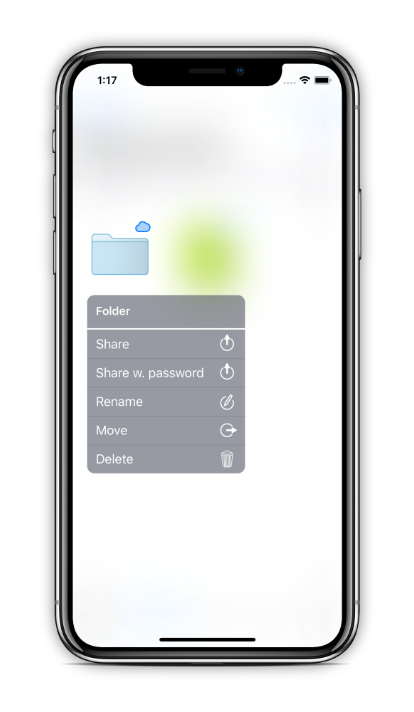 Every shared file gets shortened automatically. You can shorten any link with a special german domain (id-l.de) and you can even personalize it with a ending of your own. This shortener works independently in the background. So you do not have to open IDOPLINKS when the extension is used in other apps. 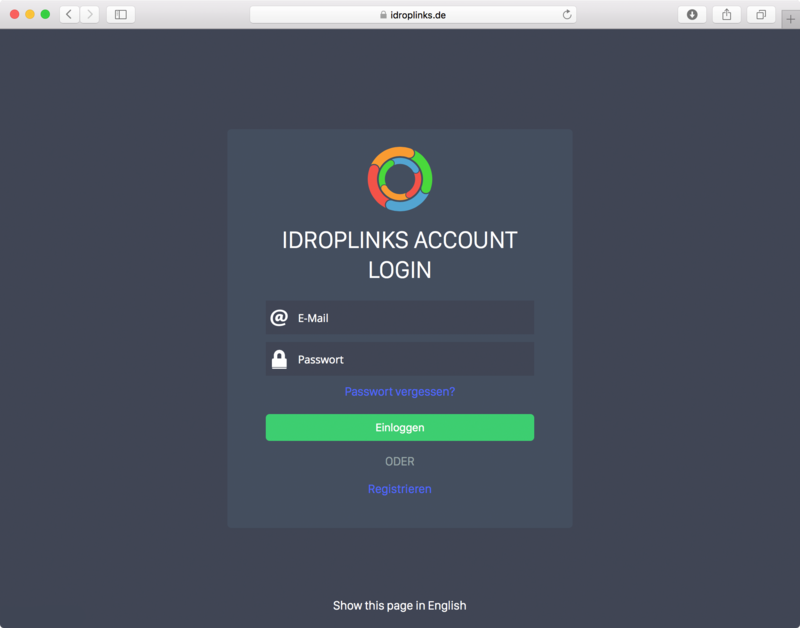 To use IDROPLINKS it’s necessary to sign up for a member account. All information about your member account and your files, links and all other data are stored and encrypted by 256 bit SSL on servers in Germany. Only you have access to these data and only you are able to edit or delete them. So, every public shared link is securely linked to your member account and no one else has access to them. Manage your links with ease! Swipe left, to delete or to see more information. See every link you've shared. It gets sorted automatically. Press and hold a shared link to share again. How does the file sharing work? 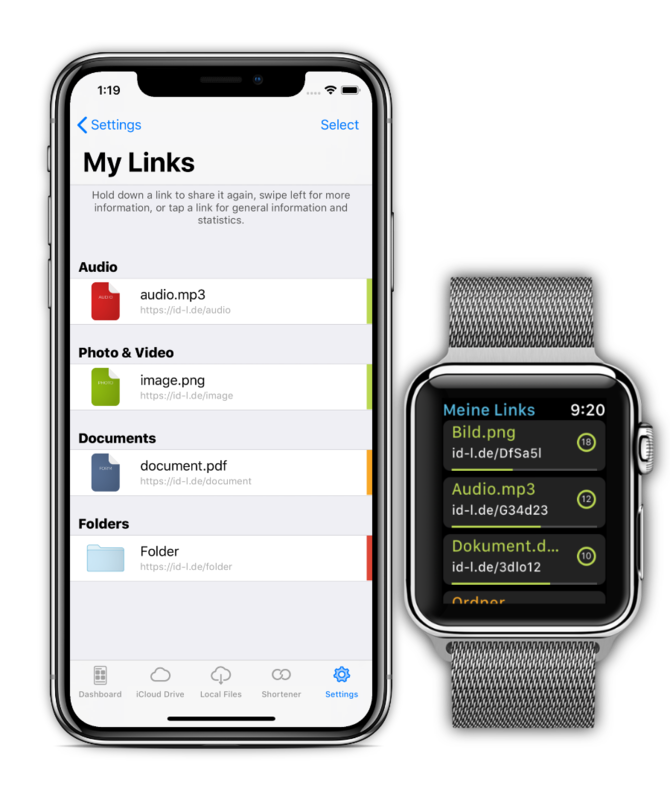 iDropLinks requests in a split second the specific download links for the files or folders from the iCloud Drive, encrypts and stores only the download link in your user account iDropLinks - secured on servers in Germany. 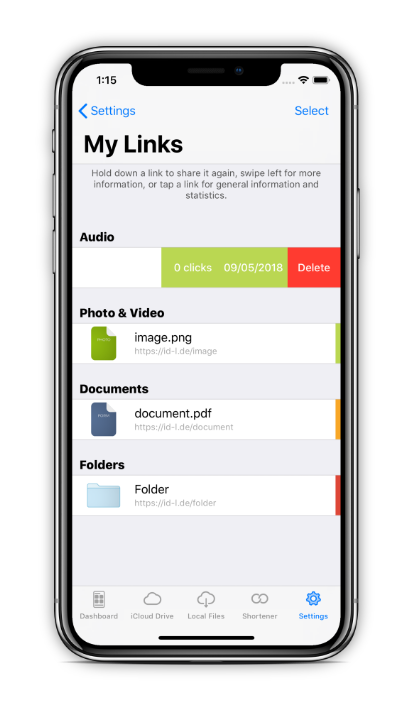 Your shared files or folders will remain in your iCloud Drive and will not be moved or copied by iDropLinks. Get iDropLinks PRO to maximize your productivity. As a PRO user, you not only have the ability to share unlimited files, but also just as many folders! 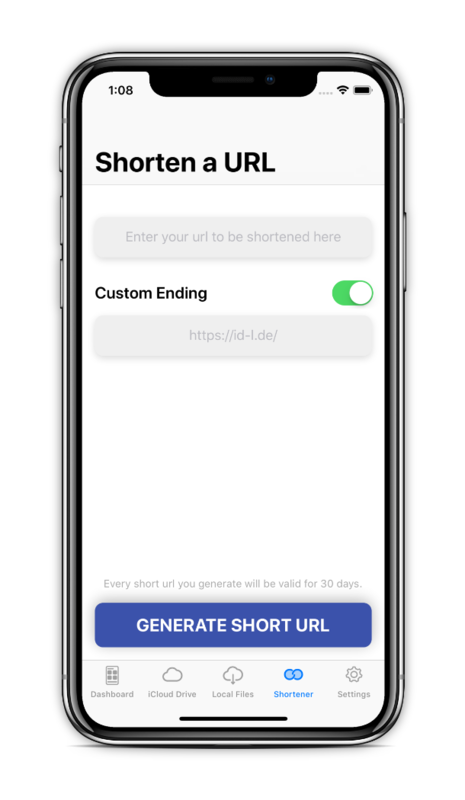 Also, you have more control over your created links and can manage them better: look at when a link was clicked how many times, renew the link's content with just a tap if the shared file / folder has been updated or edit the extension of your short url. You can do this right after sharing a file or folder, before you send it. You can also use passwords to protect your links to make sure that only people with the password get to your files. Sync any file you want - no matter of size - via iCloud Drive between all devices (iPhone, iPad, iPod, Mac or even PCs). 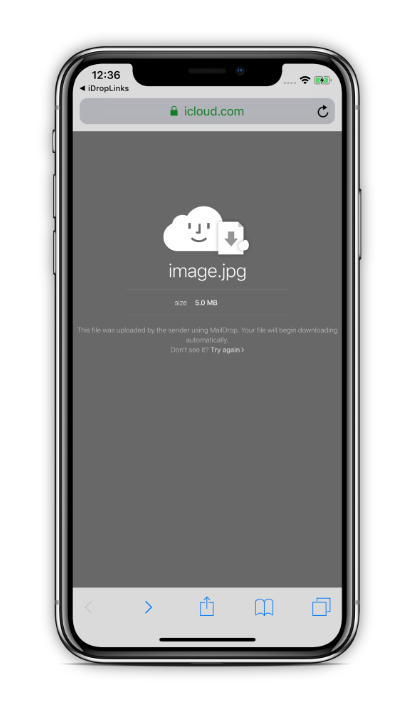 The only limit is the free storage on your Apple’s iCloud Drive as well as a fast WiFi or cellular connection for uploading or syncing files. Use the folder "iDropLinks" in iCloud Drive on your Mac in order to copy files you want to share later. If your iPhone is not at hand, you have the opportunity to visit our online account manager. It’s accessable from any webbrowser. Editing, registering or deleting links are no problem for the manager. 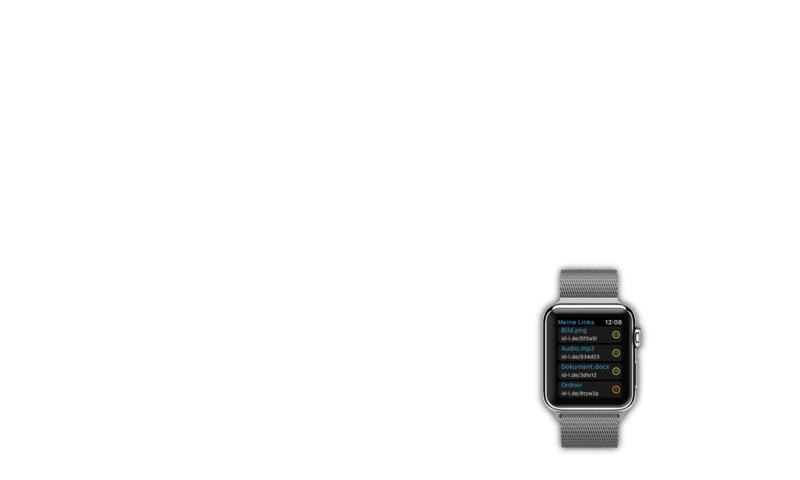 You can see directly how long a link is valid, can change your Avatar and enable push notifications for the iDROPLINKS app. You need an iDropLinks account to access the online manager. WHAT DO OTHERS SAY ABOUT IDROPLINKS? There are no hidden costs or subscription tricks in iDroplinks. Once purchased on the App Store, the App is free for lifetime. 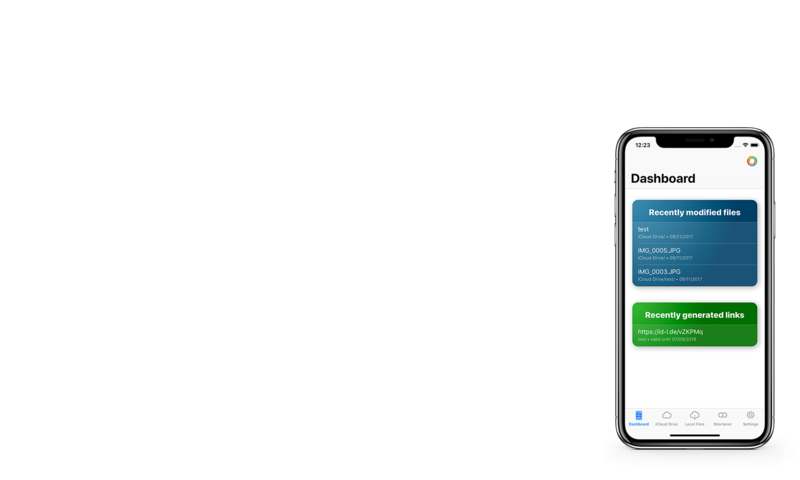 iDropLinks uses the free storage on your Apple's iCloud Drive. So, if you need more storage, there are a variety of affordable offers by Apple.